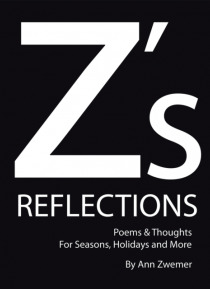 Zs Reflections will take you through the year, month by month, with poems and thoughts that will enrich each season and holiday. This delightful book will warm your heart and help you celebrate each season and holiday throughout the year. This beautiful book makes a great gift for anyone.